Ravichandran Ashwin has been the talking point for a while now, especially after the Mankad incident early on in the tournament. 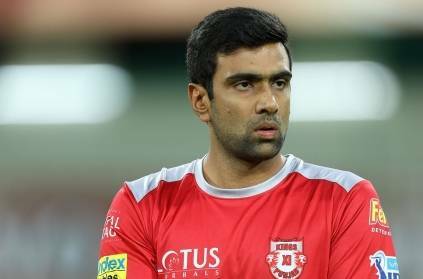 In the cricket talk show Cricbuzz Live, as they were discussing about the match between KXIP and RR at Mohali, to share a lighter moment, they spoke about what alternate profession will suit R Ashwin. The panel had Michael Vaughan and Harsha Bhogle. They thought about it and after a couple of options said he would make a good lawyer as he looks into the rules very carefully and also is very good at making strong arguments. Then Michael Vaughan came up with another option saying that he should go to Politics !!! It's an interesting thought given his intelligence and application of thoughts. However, we know that he is definitely a smart cricketer who knows the game very well. He led the team to victory against the Rajasthan Royals as he was also the Man of the Match contributing with both bat and bowl. This page contains news relating to various facts and events. The views are generally about current affiars and general topics in diversified areas such as political, international, national, and regional issues, sports, health, travel, lifestyle, technology and business. People having similar interets on the above topics will find this page useful. Michael Vaughan about what other profession will suit Ashwin | Sports News.